Guest Bio: Suman B. Rao, MD, is a medical oncologist board certified in hematology and medical oncology as well as internal medicine. Fellowship-trained, Dr. Rao is experienced in treating a wide range of cancers. Her clinical interests including lung cancer and breast diseases. A member of the American Society of Clinical Oncology, Dr. Rao is a strong proponent of clinical trials and encourages eligible patients to take advantage of the many opportunities to participate in such trials at MedStar Franklin Square Medical Center. Segment overview: Suman B. Rao, MD, an oncologist, talks about the background on a new national educational campaign focused on awareness around lung cancer and biomarker testing. The campaign is called the Test. Talk. Take Action Initiative. Neal Howard: Hello and welcome to the program today, I’m your host Neal Howard here on Health Professional Radio, thank you for joining us. 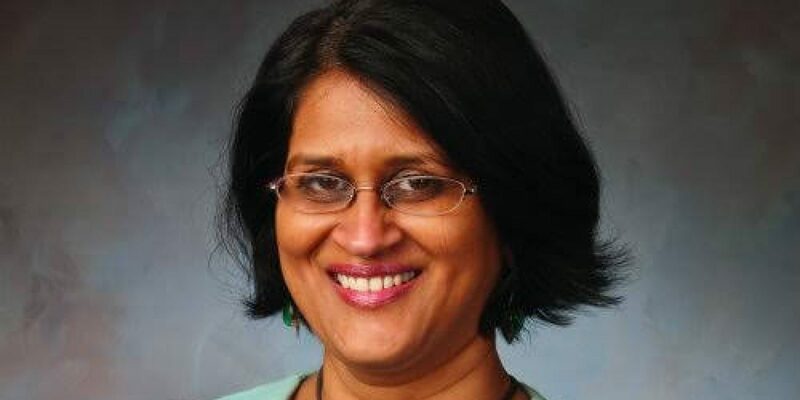 Our guest in studio is Dr. Suman B. Rao, medical oncologist, board certified in hematology, and medical oncology as well as internal medicine and she’s returning guest here to talk with us about the Test. Talk. Take Action Initiative, it’s a brand new national educational campaign focused on awareness around lung cancer and biomarker testing. Welcome back to Health Professional Radio, Dr. Rao. 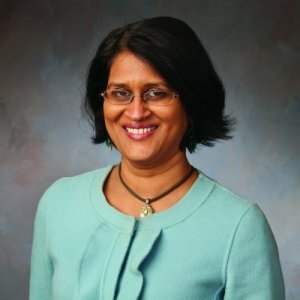 Dr. Suman Rao: Thank you, thank you for having me. N: Well thank you for coming back, it’s always a pleasure. Tell us about yourself for listeners who haven’t been here with us on other segments. You are fellowship-trained? R: Yes. I did my fellowship at the University of Texas Southwestern in Dallas, worked in hematology and oncology, focus still has been more oncology these days. N: Was there anything specific experience or a personal interest or anything that I guess, moved you closer to your interest in this type of oncology testing? R: Yeah. I’ve been asked that question and sometimes my patient ask me why do I do this. I think, I’ve always enjoyed the rapport that I can develop with my patients. I think that is probably the patient, the attachment, the patient-oncologist is really something special. I think, that is what I saw during my residency and I think that is probably what drove me the most toward oncology, although as I said, I do enjoy the science, I love the science, I love the fact that there’s always something new and you challenge to keep up with it. So definitely, that’s a part of it also. I think my patients are definitely my foremost reason for going into oncology and for one thing I have studied that the more I do this, the less I complain about everything else, which is great. It helps you to get a perspective on-board is important. If you are healthy and the way is doing okay, how little you have to complain about anything else. N: I guess, putting things into perspective for you and then allowing you in turn to help put things into perspective for patients, right? N: Now let’s talk about the Test. Talk. Take Action Initiative, is this something that it is going on nationwide in schools or is something that is focused more on healthcare professionals and their efforts to get education and where it is to the mainstream? R: So the Test. Talk. Take Action Campaign is focused more towards physicians, healthcare professionals, as well as toward patients. Basically, the ideas that the more knowledge that is out there, the more likely does this get utilized and patients are getting the right treatments that they need. So, that is the major focus. Medical schools are actually doing a pretty good job talking about these anymore, I mean, I think it is part of the curriculum and a lot of fellowship-trained graduates that are aware of these biomarkers coming out of school. N: When you’re talking about biomarker testing and the Test. Talk. Take Action Initiative and as these two relate to lung cancer, what type of response do you get? How do you handle resistance to change when some folks who have been really entrenched in the tried and true traditional method? R: 20 years ago, we just scratched the surface. KRAS mutation is the only thing we knew about and if you stopped there, it‘s very hard to give the more advanced treatments for the patients. I think it’s really important to keep up, although the technology is 20 years. A lot of physicians get very busy with practice, seeing patients every day. It’s a very busy life in oncology, life is very very busy and there’s a lot of demands and time. So I think the websites like this, information that is easily available and provided can really help physicians keep up with what is new today and the importance of testing so the right treatments can be given. Sometimes you are aware of the drugs, you’re aware that it’s out there, but force of habit, the first thing you think about is, ‘Oh, I know this chemotherapy, I know this drug, I’m gonna use it.’ or ‘Wow, immunotherapy might work but it may not work true quickly enough.’ So I think, it is important to know what the details are about these treatments. N: How cost effective is biomarker testing, being open …right now in the United States as far as healthcare is concerned? Are we talking about something that is readily covered by (crosstalk). R: Yeah, I mean cost is an issue. Cost is definitely an issue. I think, it’s the practice of the physicians, if they are able to spend the time or have enough support from their offices, from the staffs to make this happen. Often, testing can be available. A lot of the centers or the institutes, the providers testing do have a compassionate programs, they have funding available, the website itself may help direct the sources of funding, might to help in give information to patients on how to get this funded. Insurance companies do cover but sometimes there are copays. There are issues that can come up with that. We have a contract with one of the providers for this testing and they do offer testing across the board for us for a very defined copay. They will not go over a certain amount. So certainly this context can be put in to place. Again, the website testtalktakeaction.com also does provide resources for those looking for funding help with this task. N: Thank you for coming and talking with us again Dr. Rao, it’s been a pleasure as always. R: Thank you, thank you very much for having me. N: You’ve been listening to Health Professional Radio, I’m your host Neal Howard, thank you for joining us today. Transcripts and audio of this program are available at healthprofessionalradio.com.au and also at hpr.fm and you can subscribe to this podcast on iTunes.